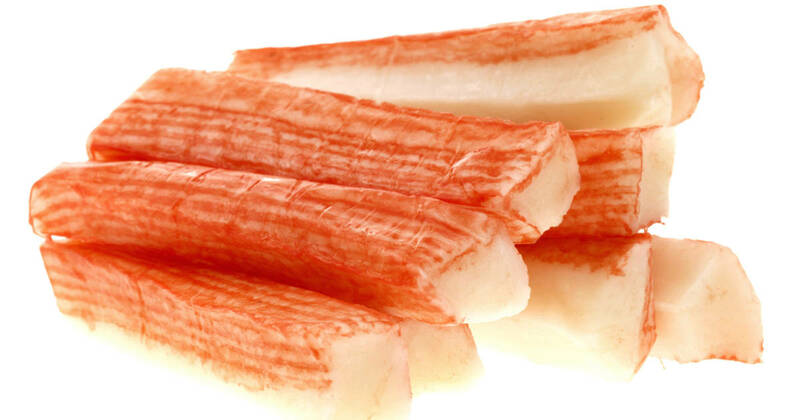 Those imitation crab sticks (surimi) wrapped in packages in the fish cooler at the supermarket are very tempting: they look like crab, they even taste a little like crab, and they’re much less expensive and always available. But what is in them, really, that makes them look and taste like something else? First of all, if your guests think the mushroom caps are stuffed with real crabmeat, is surimi crab stick something you would serve them in good conscience? Let’s look into the essence of fake crab and you can decide for yourself. “Surimi” is Japanese for “ground meat”. Okay there. At least it’s not “inu no iki” (dog breath). “Surimi” is made by mashing up a white meat fish, like pollock, so it’s the consistency of a thick paste. Nothing offensive there. No, this isn’t hard to pronounce, but what is it? It’s a salt substitute that has been found to cause cardiovascular distress, muscular weakness and paralysis, and gastrointestinal effects of nausea and vomiting when taken in large doses.